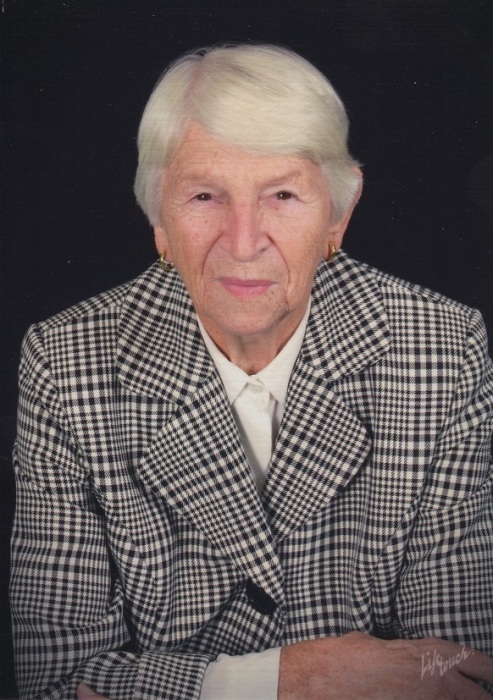 Obituary for Liesbeth (Elisabeth) (Funk) Wiebe | Schaffer Funeral Home, Inc.
Liesbeth was born on April 13, 1927, in Mariawohl, Ukraine, the daughter of Franz and Margaret (Dirksen) Funk. She married Hermann Wiebe in 1947. He preceded her in death in 2006. Liesbeth led a life dedicated to learning and teaching. After obtaining her college degree from Defiance College in Defiance, Ohio, she taught at Defiance College and Continental High School in Continental, Ohio. Her and Hermann’s students were frequent guests in their home. She and Hermann traveled often, visiting most of the states in the United States and many countries in Europe. She was also very active in her church, the United Church of Christ in Defiance, Ohio. Liesbeth is survived by her son, Harry (Marcia) Wiebe of Paulding, Ohio; her daughter, Edith (Mark) Hickman of Columbia, Missouri; her grandsons, Alexander Wiebe of Paulding, Ohio, and Thomas Wiebe, of Fort Wayne, Indiana, her brother, Walter (Helen) Funk of Vineland, Ontario; four nephews and many great-nieces and nephews. In lieu of flowers, donations to Defiance College or the United Church of Christ in memory of Liesbeth would be appreciated by the family. Online condolences can be given at www.Schafferfh.com.